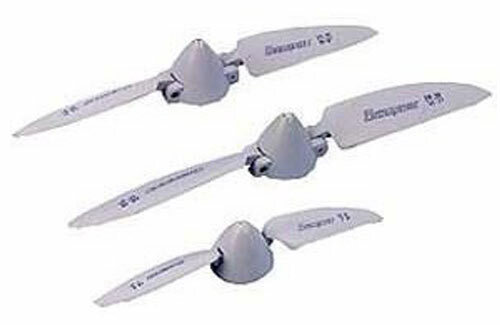 All Products > "E-1311/15/15 Graupner 6" X 6" (3.2 Shaft)Elec Flt Prop"
A wide range of folding propellers to suit many direct drive and geared drive applications. Each propeller is supplied complete with an aluminium prop adaptor, moulded spinner backplate, aluminium drive washer, nut and precision spinner. Please see the listing on page 103 for a guide to the adaptor shaft sizes available.